In 2011, Por ti, Familia joined the Business Call to Action in its efforts to provide low-income households in Peru access to essential medicines and quality healthcare. Launched in 2009, Por ti, Familia (meaning “For You, Family”) is a private-sector solution to inefficient distribution channels that restrict access to healthcare for low income communities. As a chain of primary health clinics, Por ti, Familia utilizes a hub-and-spoke model to offer comprehensive and affordable healthcare in conveniently located retail storefronts. Combining a doctor’s office, pharmacy and laboratory testing services in the same location, the social enterprise has become an essential source of healthcare provision for the country’s poorest, particularly in Lima. And through the establishment of an extensive network of private health centres, branded “MiDoctorcito”, Por ti, Familia enables access to quality healthcare for Lima’s urban low-income communities. 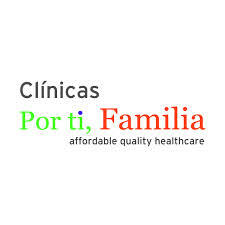 In 2010 alone, Por ti, Familia registered 7,000 patients and since its inception has launched 5 clinics and health centres with over 40,000 registered patients. Por ti, Familia’s goals for 2017 include scaling up operations to serve 270,000 patients per year, establishing 100 new health centres, and employing 1,000 people in the new centres.